Consider a graph G with n vertices. 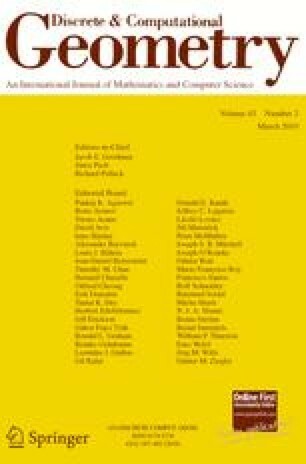 In this paper we study geometric conditions for an n-tuple of points in ℝ d to admit a nonzero self-stress with underlying graph G. We introduce and investigate a natural stratification, depending on G, of the configuration space of all n-tuples in ℝ d . In particular we find surgeries on graphs that give relations between different strata. Further we discuss questions related to geometric conditions defining the strata for plane tensegrities. We conclude the paper with particular examples of strata for tensegrities in the plane with a small number of vertices. F. Doray and J. Schepers supported by VICI-grant 639.033.402 of NWO. O. Karpenkov partially supported by RFBR grant SS-709.2008.1 and by NWO-DIAMANT grant 613.009.001.